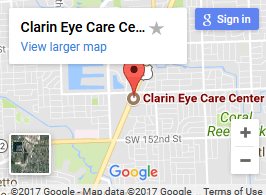 Dr. Clarin has more than 36 years experience as an Optometric Physician and has been practicing in Palmetto Bay since 1981. 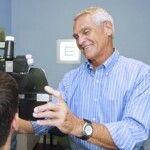 Prior to entering private practice, Dr. Clarin worked at Bascom Palmer Eye Institute, widely regarded as one of the nation’s foremost and most progressive center for the treatment of eye disorders. 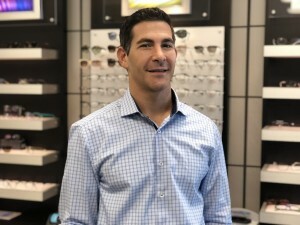 He graduated from the University of Vermont before attending the Pennsylvania College of Optometry, where he received an award in clinical excellence. Dr. Clarin graduated, with honors, from Nova Southeastern University College of Optometry. During his time at Nova, he was inducted into Beta Sigma Kappa, the international optometric honor society. In addition, he participated in a Glaucoma specialty care clinic and an advanced contact lens clinic. Dr. Clarin is qualified to fit specialty contact lenses and enjoys examining patients of all ages. 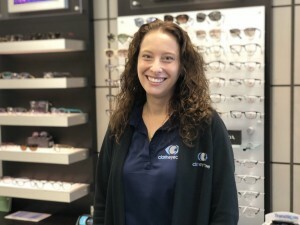 After completing her undergraduate studies at the University of Michigan, Dr. Sherr attended Nova Southeastern College of Optometry, where she graduated with honors. During her time at Nova, she was inducted into the international optometric honor society, Beta Sigma Kappa. Dr. Sherr participated in the Amblyopia and Strabismus, as well as the Glaucoma, specialty clinics. Dr. Sherr also completed an externship at the Miami Veterans Hospital, which included participating in grand rounds at Bascom Palmer.